Acorn Works was contacted by Billi UK of Norwich as they prepared to move their Norwich headquarters across into a larger facility. A new office layout was required to ensure that the work space met our client’s needs. 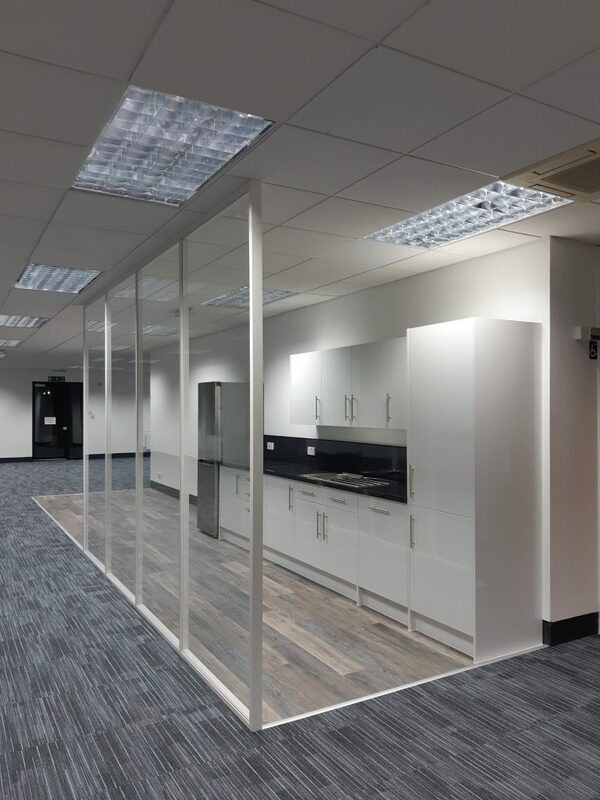 The office redesign saw us installing partition walls to divide the building between open plan work spaces and private meeting rooms. 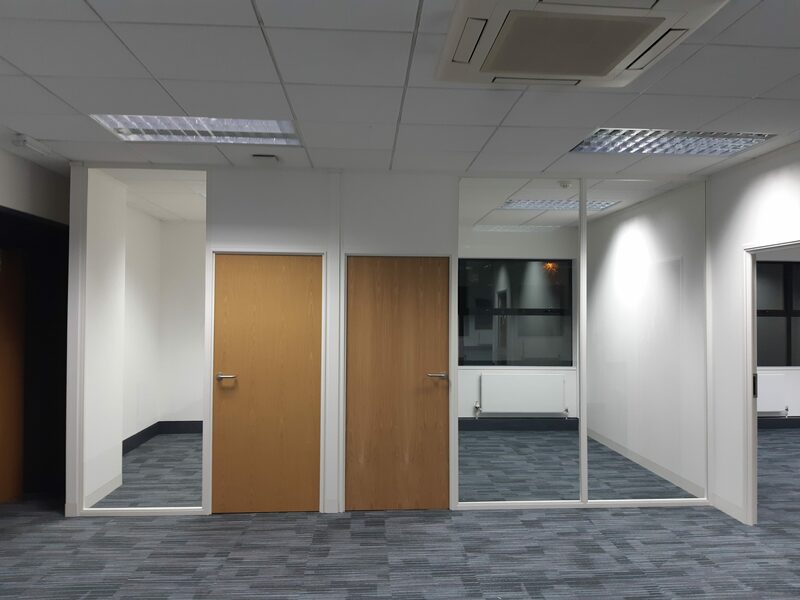 The use of glass partition walls ensured that all spaces were kept light and airy. A fresh coat of decoration was applied throughout while new carpet tile flooring was laid. Power sockets, data points and floor boxes were installed to suit the requirements of the new layout. Finally, to complete the project, a kitchenette / tea point area was constructed with vinyl flooring and a glass wall divider. Billi UK was able to move into its new headquarters on time and on budget.